This site is edited by the company S.A.R.L. Lil’E St Barth Sailing School whose head office is located at carrefour Colombier Corossol Colombier 97133 St Barthelemy and who is registered at the Trade Register of Basse Terre under the number 532 393 899 000 10. The present General Terms of Sale define the parties’ rights and obligations in the context of sales placed using the site www.lilestbarth.com. They regulate all of the necessary steps for placing and tracking an order. These terms only concern physical persons who are not traders, who are at least 18 years old and who have the legal capacity to contract. Please note that you may save or print the present General Terms of Sale. S.A.R.L. Lil’E St Barth Sailing School reserves the right to adapt or change the present General Terms of Sale at any moment. In the event of any changes, the General Terms of Sale in force on the day that the order is placed will be applied to each order. The date of the latest update to the General Terms of Sale is shown at the top of this page. Your order will only be taken into account on the site if have clearly identified yourself by entering your customer number or your e-mail address and password. You can place your order on-line either using the reference numbers or the offers on the site. In general, the information concerning the availability of products is provided when you place your order. Occasionally, a product may become provisionally unavailable after an order has been confirmed. In this case, S.A.R.L. Lil’E St Barth Sailing School will warn you of this fact as soon as possibly by e-mail and the article will automatically be cancelled. You will only be charged for the articles that are sent to you or your account will be automatically credited with the amount of the article that became unavailable after you place your order. Your order is definitively confirmed once payment has been confirmed. Once you have placed your order, we will send you an e-mail to confirm that we have received the order, with a summary of the articles that you have ordered and the delivery address. The price is given in Euros. S.A.R.L. Lil’E St Barth Sailing School reserves the right to modify the prices if the expenses increase (notably the VAT rate) and in the case of obvious error. The products will be billed on the basis of the declared price at time the order is placed. You can choose to pay for your order by Paypal (international cards : VISA, MASTERCARD, EUROCARD or Paypal account), wire transfert or check. A padlock will be visible on the bottom right of your screen to indicate when you are in the security mode. If you suspect that your account is being used fraudulently, , we invite you to contact our customer service office as soon as possible. The customer service office will register your complaint and will inform you of the procedures to follow. Except for fault or negligence on your part, you will not be held responsible for fraudulent use. Orders are delivered to the address indicated at the time the order is placed. In case of absence during a delivery time, the delivery person will leave an attempted delivery notice with a telephone number in order to schedule a new delivery time. S.A.R.L. Lil’E St Barth Sailing School commits to deliver the available items as quickly as possible using the postal service or a private carrier. Delivery time cannot be guaranteed in the case of force majeure – particularly in the case of strikes - as defined by law. If you are not entirely satisfied, S.A.R.L. Lil’E St Barth Sailing School will reimburse an item up to 15 days after home delivery or reception of the order. Incomplete, spoiled, damaged, or soiled items will not be accepted. The set participation amount corresponding to the shipping and handling of the order will not be reimbursed. In the case of a defective item, the price of the item - as well as the set participation and return cost- will be reimbursed. The product amount will be reimbursed within 30 days of reception by S.A.R.L. Lil’E St Barth Sailing School. In the event of unfair or abusive returns, S.A.R.L. Lil’E St Barth Sailing School reserves the right to refuse any future orders. To facilitate the processing of any complaint concerning non-guaranteed items, please contact us within 3 months of purchase. The seller is required to deliver a product that is conform to the contract and is held liable for any lack of conformity existing upon delivery. He is also held liable for any lack of conformity caused by the packaging or the assembly instructions, or the installation if he assumed responsibility therefore or had it carried out under his responsibility. S.A.R.L. Lil’E St Barth Sailing School commits to protect the privacy of persons using its Website and the confidentiality of provided information. Your personal information and data that is requested by S.A.R.L. Lil’E St Barth Sailing School (responsible for processing) are necessary to fill and follow your order, to manage your records on a commercial and marketing level, and to continue the quality of our relationship. giving your surname, first name, e-mail address and, if possible, your client number. This data could be processed outside the E.U. According to the choices made during the creation or consultation of your account, you might receive offers from our company, including offers from other companies within the S.A.R.L. Lil’E St Barth Sailing School Group or its partners, as indicated during the creation of your account. You can request to no longer receive these offers at any moment. The www.lilestbarth.com Web service is strictly reserved for personal use. All brands, texts, commentaries, work, illustrations and images - whether visual or audio – used on the Lil’E – Tanguy Fox site are protected by copyright laws, trademark laws, patent laws and rights of publicity. They are the full and complete property of S.A.R.L. Lil’E St Barth Sailing School or its partners. Any reproduction or representation, whether partial or in full, constitutes an infringement and could result in civil and/or penal action. Placing a hypertext link to S.A.R.L. Lil’E St Barth Sailing School by using framing or deep linking techniques is strictly prohibited. Any reproduction, whether partial or in full, of the S.A.R.L. Lil’E St Barth Sailing School catalogue is strictly prohibited. The www.lilestbarth.com website established on French territory is subject to French law. Any order involves, automatically and by right, your adherence to our general conditions of sale. These general conditions of sale are governed by French law, with regard to substance and form. S.A.R.L. Lil’E St Barth Sailing School is responsible for carrying out all obligations resulting from a concluded remote sales contract, whether these obligations be carried out by itself or other services providers, without prejudice of any recourse against these parties. Nevertheless, S.A.R.L. Lil’E St Barth Sailing School can be exempt from all or partial responsibility by proving that non-performance or wrong performance of the contract can be attributed to either the consumer, or to an unforeseeable and insurmountable event, or to a third contract party, or to force majeure. In case of error in the present translations on the site and in the documents which are bound (connected) to it, the French language will prevail over all the others. If a dispute arises, S.A.R.L. Lil’E St Barth Sailing School will do its best to find with an amicable solution before any legal action is initiated. 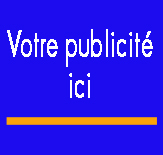 All actions coming from the connection or use of the present site are subject to French law.